This Friday July 11th, at 10 a.m., tickets will go on sale for the Joan Gamper Trophy for all the special groups. 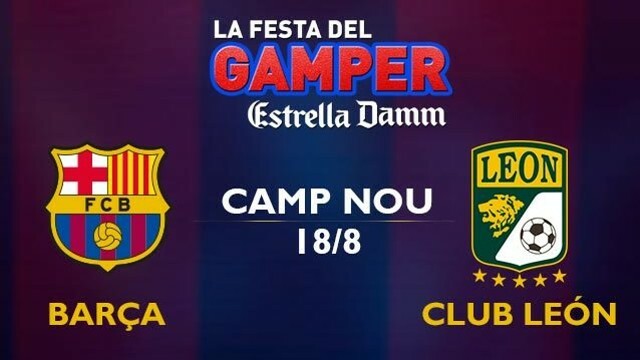 In the 49th edition of the tournament, FC Barcelona will face Club Leon FC, from Mexico, on Monday 18th of August. It will be the first game for Luis Enrique’s team in front of their fans. Ticket prices will range from 19 to 94 euros and members will benefit from a 25% discount. On buying one adult ticket there will be a 50% discount on another one for a child under 14. In addition, on buying an adult ticket, members under 14 years old can obtain a free ticket. Remember that this match against Club Leon FC is not included in the season ticket. Previous Previous post: Penalties send Argentina through to the final of the 2014 World Cup.